The new screen doesn't change a lot from the previous Verify Apps one, except the addition of a short description of what it does and a Looks good checkmark that should make you feel better about things. The toggles and the recently scanned apps sections are still the same as before. The change started rolling out over two weeks ago to users, but it appears to now be more widely available — all of my devices currently have it. 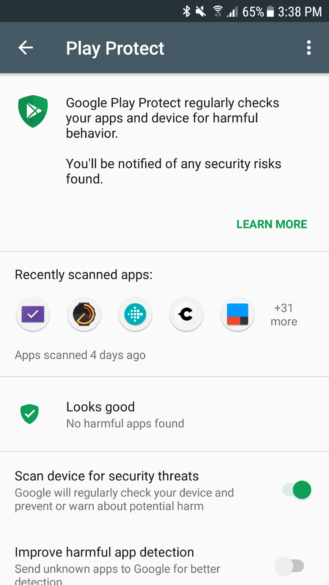 It seems to require Play Services 11 or above, so technically everyone should have it but here's a link to APK Mirror should you want the latest and greatest APK. 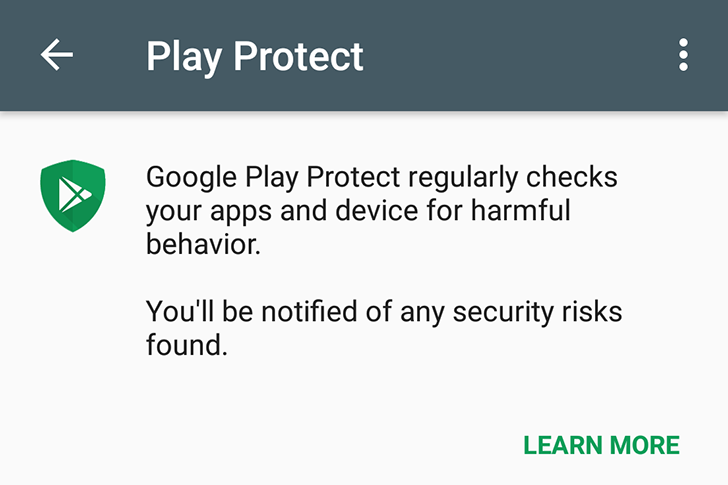 As for the more consumer-facing aspect of Play Protect, namely the Play Store card that tells everyone that their devices are all fine and protected, well it doesn't appear to be live for me yet, so it might be on a slower or delayed rollout. Please let us know if you see it on your devices.